Professor Ulrich Köpke is Director and Head of the Institute of Organic Agriculture at the University of Bonn, Germany. He was Founding President of the International Society of Organic Agriculture Research (ISOFAR) which plays a leading role in promoting collaboration in international organic research. 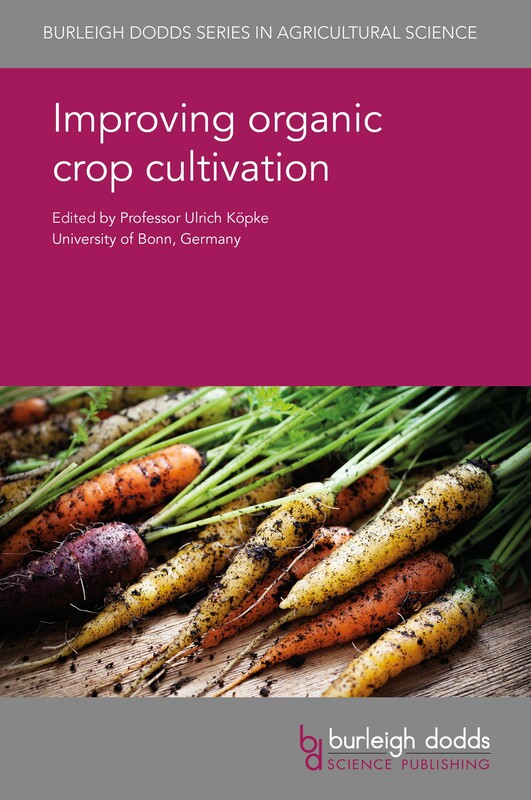 Professor Köpke has written over 200 publications on nutrient management, life cycle analysis and other techniques for optimising agronomic practices in organic agriculture, as well as coordinating a number of major European research projects in organic agriculture. Global sales of organic products have grown significantly, yet organic farming remains a small percentage of overall agricultural production with lower yields than conventional methods. Organic crop cultivation thus faces a range of challenges if it is to grow significantly. This volume reviews the wealth of research addressing these challenges. Part 1 reviews developments in improving cultivation across the value chain, from breeding more robust, low input varieties to ways of maintaining soil health and improving crop nutrition. Part 2 discusses the key topic of pests and diseases with reviews of integrated pest and weed management as well as organic plant protection products. Part 3 covers ways of monitoring the environmental impact of organic farming whilst the final part of the book discusses ways of supporting organic cultivation in the developing world. With its distinguished editor and an international team of expert authors, this will be a standard reference for all those interested in understanding, improving and promoting organic farming. Not sure what you're getting if you buy this book? Click on the cover image below to open a PDF and preview pages from the book or watch our informative video introduction. "Arable and particularly horticultural crops are central to organic agriculture. There remain tremendous challenges in research whilst the best sustainable practices are still not fully adopted by all organic farmers. A comprehensive reference book covering the latest research on improving organic agriculture is therefore indispensable and currently missing. With their wealth of expertise, the editor and the authors fill this very gap."